Ppen to all skill levels, beginner to pro. We'll learn new stitches and techniques, experiment with stitches and techniques we already know, and talk about color selection. You'll have a chance to share your work with other members and have time to sew in a friendly and supportive atmosphere. BOOKS: 'Creative Texturing" and "Creative Stitching", both by Sue Spargo. These are excellent texts from which to learn and review stitches. FABRICS: The wools and flannels you select will be dependent on what project you do. Capital Quilts has a good supply of both and is willing to order what you need if they don't have it in stock (in most cases). 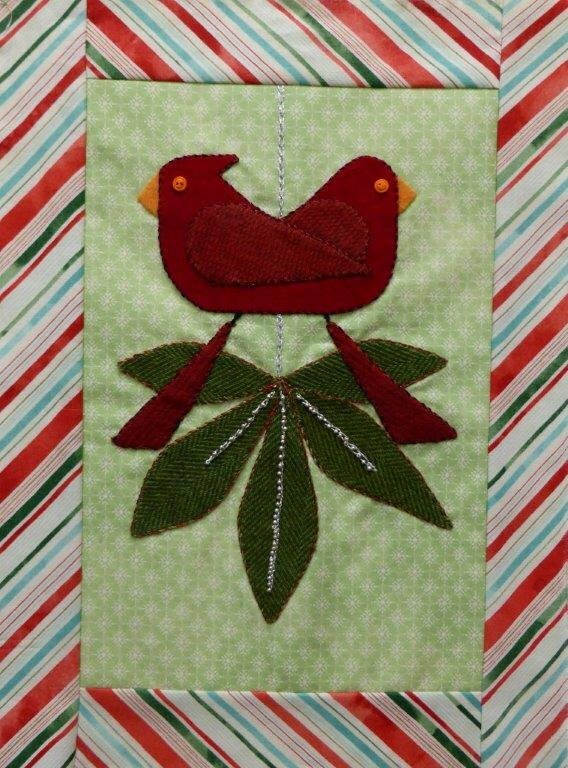 NOTIONS: There are basic notions that are useful for the wool embroiderer and appliquer. We will review other notions that come in handy or offer alternative ways of doing things.